While I was working in the kitchen yesterday taking up the old flooring (which is quite a job…those boards have 3-inch 65-year-old rusty nails holding them down, and they do not want to come out!! ), I took a couple of breaks and just sat in my living room and dreamed about what it would look like when it’s finished. Really finished. …but it’s far from complete. I had some pretty big projects that I had to wait on since my floors were so unlevel. But now that that’s been taken care of, I can finally plan on getting it done (hopefully) in the near future. 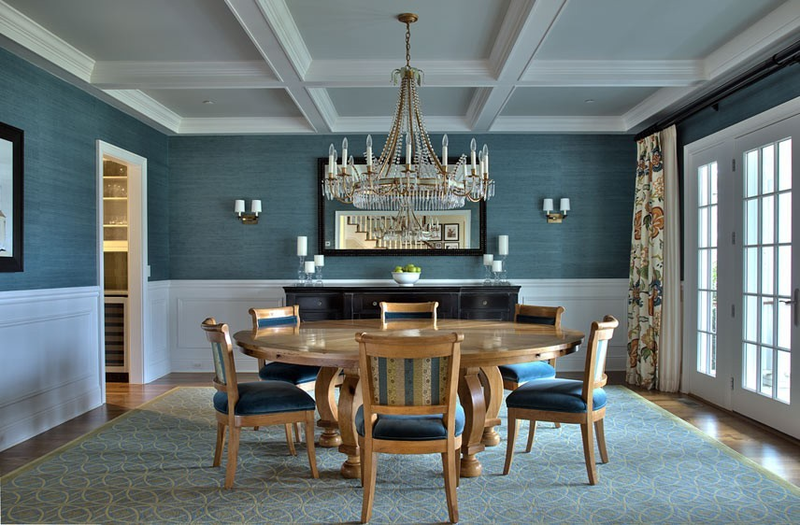 While there are several things still missing from that room, the two main elements are (1) grasscloth on the walls, and (2) wainscoting on the lower parts of the walls. 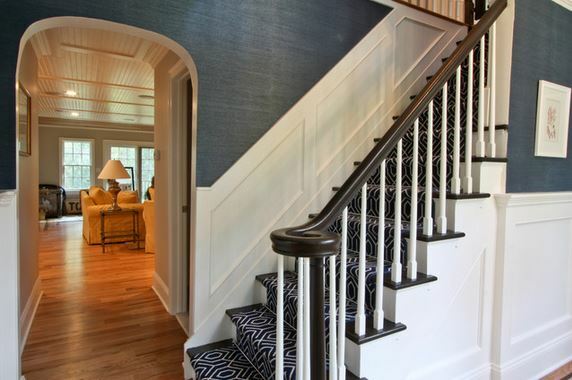 Grasscloth wallpaper over wainscoting is a combination that I absolutely love, and I’ve had my heart set on it for the living room/entryway since even before we closed on the house. 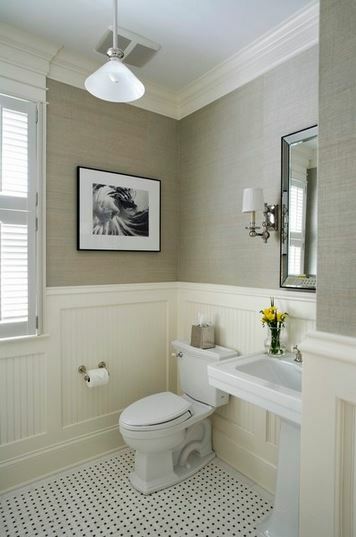 I just love that look of the textured paper on top, with the more polished finish of the wainscoting on the bottom. And of course, my hope is that I’ll find a teal grasscloth that is similar to the color I currently have on the walls…and that I can actually afford. 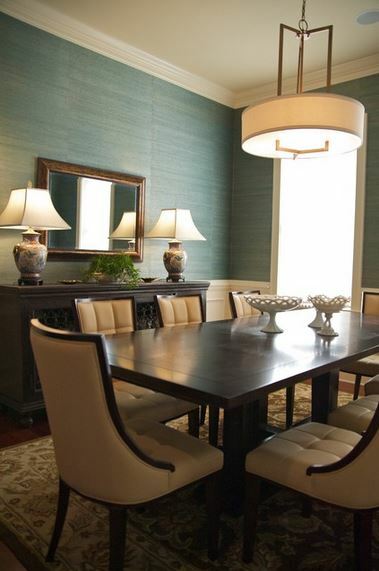 Traditional Dining Room by Redondo Beach General Contractors LuAnn Development, Inc. So that will be my first challenge — finding affordable teal grasscloth wallpaper, because I’ll need quite a bit of it! My second challenge will actually be narrowing down the numerous wainscoting options to the one perfect option for my living room. 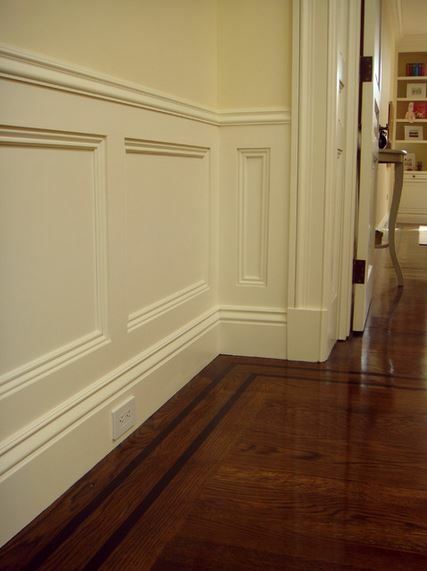 I spent about an hour looking through different styles of wainscoting last night, and I think this is my favorite one. 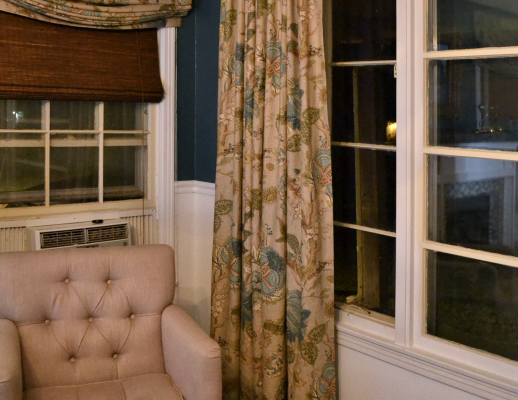 Of course, with all of that moulding required to create that look, it’s also one of the most expensive options. A simple board and batten like this one would cost less. It would also go better with my fireplace. Modern Hall by San Francisco Architects & Designers Feldman Architecture, Inc. 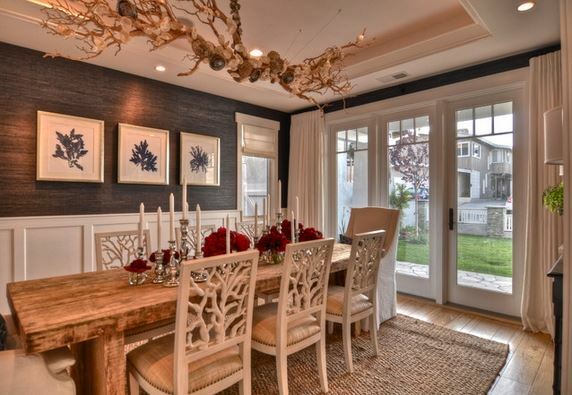 While I’m not really a fan of standard beadboard, I do really like the look of those wider boards. 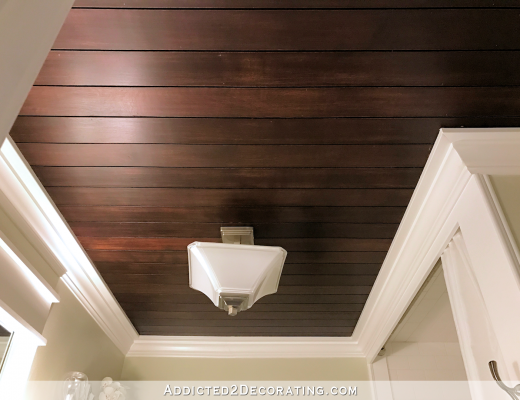 And I think that would blend nicely with the horizontal slatted wall treatment (i.e., shiplap siding) that I’m planning to use in the breakfast room and in the hallway. Which style best matches my house? Which style will go better with other elements in my house (not only elements that are already there, like my fireplace, but also elements that I’m planning, like the shiplap siding treatment in the breakfast room and hallway). 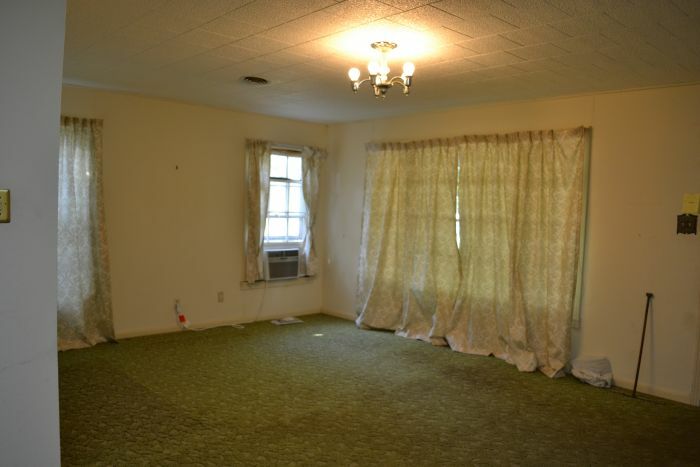 If I choose a particular wainscoting for the living room/entryway, do I need to use that same wainscoting in other rooms that I plan to use wainscoting? (I’m thinking the answer is “yes.” Right now, the only only other room I’m planning wainscoting is the master bedroom.) And if it needs to be the same, which one would I be satisfied with in both rooms? After all, I have to finish up my kitchen first, then build that wall between the entryway and music room, then remove all of the polystyrene tiles from the ceiling and possibly (probably) re-drywall the ceiling before I can even get started on the walls. But it’s fun to think and dream! Thinking about the pretty stuff is a nice break from the not-so-pretty stuff I’m currently working on in the kitchen. *Sigh* It seems never ending at this point, but I’m making progress, so it’ll get there eventually! 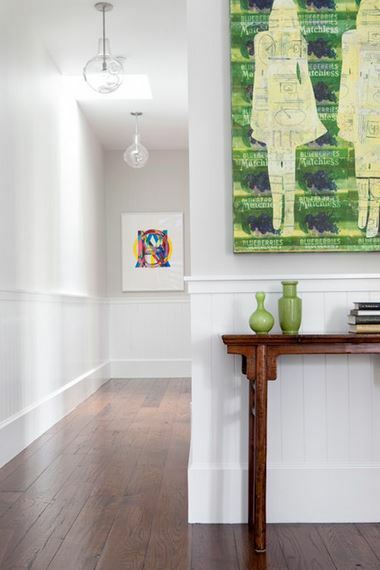 So do you have wainscoting in your house? If so, what kind do you have? If you have a picture somewhere online, I’d love for you to leave a link so that I can see it! That would be so pretty! One thing I’ve learned though is to keep in mind that it might seem like a certain option is what everyone is doing, but that’s just because you’re immersed into the world of blogging and home decor. In real life, in your town, in your neighborhood, in houses in your price range, your choices probably aren’t what everyone else is doing and will stand out as unique and cool! Just because something is all over blogs and pinterest, that doesn’t always translate into what’s really going in houses around our neighborhoods. So I say don’t be afraid to do what you love just because it might be common online! Who cares?! Just a friendly reminder to think about all the surfaces that are going to collect dust in your final plan for the living room. I think you could share a little of your ambition and energy and not miss it! I’d find it quite helpful! 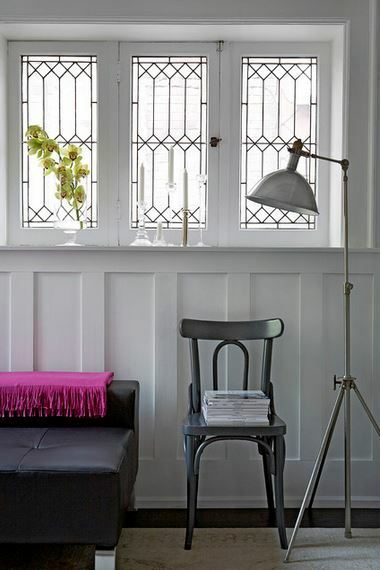 I like that horizontal, slatted wainscoting, but my eyes glazed over at the thought of the dusting it might require. I haven’t read your blog post yet, and this is completely unrelated, but I saw this DIY tutorial for faux marble that i thought you might be interested in. It seemed like something right up your alley: http://www.batchelorsway.com/2014/04/laundry-room-diy-countertops-part-2.html Maybe for your own laundry room in the far away future? While I LOVE all the wainscoting (and own a huge old never-painted woodwork-craftsman home with wainscoting everywhere) I think, for your house, its age, and its aesthetic, the simpler options are better. Not a huge fan of the horizontal – seems too “farmhouse” to me and your house is definitely not farm-like 🙂 Even though it might be everywhere now, the second choice seems best – and as you well know, soon, it won’t be featured everywhere and the rends will be on to something new. Whatever you choose will be glorious, though, I’ve no doubt. I really like the horixontal wainscoting in the last photo. I think it would look great in your living room. I certainly do NOT think you have to use the same kind in the living and bedroom. Why not use a couple of different kinds? Neither room sits next to the other and you use them for two entirely different purposes. If you can’t find the perfect teal grasscloth, can plain grasscloth be painted? It can be painted, but then you end up with a one-dimensional color, rather than the gorgeous subtle color differences that are present in grasscloth, which is the very thing I think makes it so pretty. If I can’t find just the right color, or if I can’t afford it, I might consider just skipping the grasscloth altogether and seeing of I can come up with a paint treatment that will mimic the look of grasscloth. What about painting the natural grasscloth and then wiping off the excess? Seems like that might give you the right effect…. Hi kristie, oh the teal grasscloth will look awesome. Philip Jeffries has a beautiful teal one. I also like the simple board and batten. I think anything slanted or horizontal will be a dust collector and a nightmare to keep clean. Unless of course you are my mother then it’s not a problem she loves to clean. Cheers. Not sure how this would look, but have you considered painting plain grasscloth to get the color your after? oops never mind, someone beat me to the suggestion! Unless it’s a really huge house, I like to see continuity of elements in a home. I don’t see any reason that you couldn’t do the same pattern of wainscoting in your current home that you had in the condo. It’s a classic! and, as you said, it will go better with your fireplace. just my two cents. I agree. I would paint the upper part to look like grasscloth. 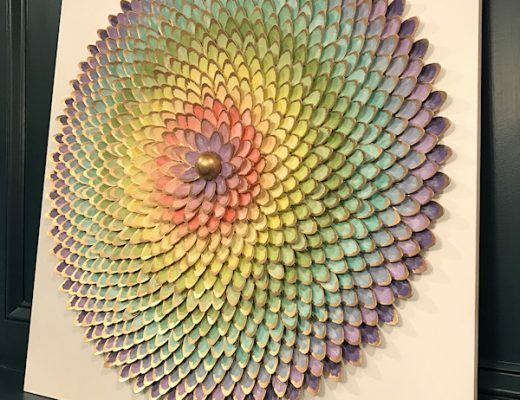 Their is some great tutorials out there using combs through the paint mixed with glaze. I love grasscloth, however any that I see in person you always see the seams and they never quite line up, and it would be a third of the price and a lot less labour intensive to change later. Good luck. I am sure it will look great whatever you choose. Good morning, just catching up on yesterdays news! Didn’t have time for the computer yesterday. Your first choice is very traditional and it does look like it could be pricey. There are a lot of different size moldings used. I happen to like the board and batten. Yes it is showing up in the newer homes, but your first choice is everywhere in older traditional homes in other parts of the country too. When we built I used a technique, actually not me, the carpenters under my direction, that I call picture frame molding. I started with deep baseboards, 4 pieces total, shoe, flat,quarter round, and a smaller quarter round on top of that. The flat piece is probably 1×4 and when all is said and done the baseboards are about 7″. The we did a two piece chair rail. The top piece is about two inches deep and rounded on the edge, flat on the top, with an additional piece below it. Once that was done we measured the distance on the walls decided what size picture frames to build. It was really an eyeball thing. As a designer you have to look at it and figure out the spacing and what will look good. This was done in billiard room. 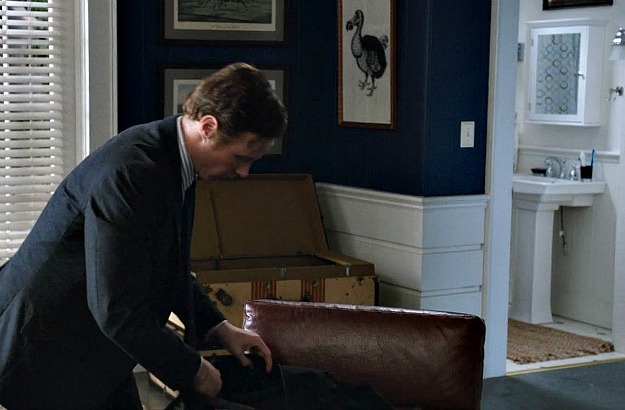 The top wall is papered in a small check that I saw on a wall in a restaurant and moved heaven and earth to find out who made it, that is how perfect I new it would be. It is camels and greens and browns and burgundys. The bottom half of the wall is painted burgundy and all the wood work is painted a color called Colonial Yellow.. This is going back 23 years. Within the picture frame molding I wallpapered with a golf print, since golf and billiards are my husbands two favorite pastimes. I also used the same picture frame molding idea going up our front stair case. We again started with the chairrail molding, an then built the picture frame molding as we moved up the stairs. Some of them are rectangles, some have slanted sides , it looks really great. My two story foyer is painted a grayish green and the moldings were painted a bright white. Not sure if I have any pictures on this computer but will look. I do have them on another one that I can post later. If you cannot find teal grass cloth, I am pretty sure you can paint it. I think you are going to want to try to keep your wainscoating as similar as possible is certain areas of the house. You could go one way in the more formal areas like the living room, entry and library. I would love to see the batten and board with the ship lap sidding in the breakfast room. I think tht would look really good. As far as the master bedroom goes, I would not waste a lot of time and energy on woodworking if you have dressers and a big bed etc. you are not going to see any of it. I would opt for paint and wallpaper. Maybe a beautiful (I WOULD HIRE SOME ONE TO DO THIS) wallpaper on the ceiling and then pull your colors from the paper for the paint rugs bedding etc. You like to be different! How high are your ceilings? if the are at least 9 ‘ or higher you can bring the paper down a foot onto the walls to create a canopy effect. 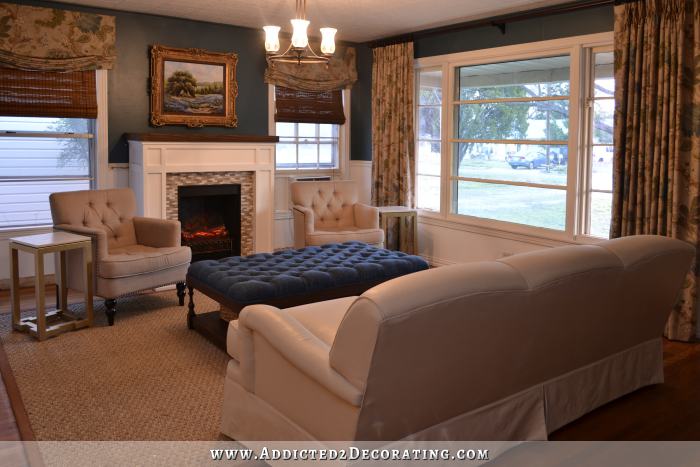 You finish it by running a piece of molding around the room painted to match your woodwork. Can’t wait to see what you come up with! BTW, I love grasscloth. Back in the 80s my parents took it down from their house and I was so bummed! I didn’t peruse all the comments, but I’ll add this: I know you can do a faux paint finish but there is also paintable wall paper. I wonder if it comes in the Grasscloth you love so much. 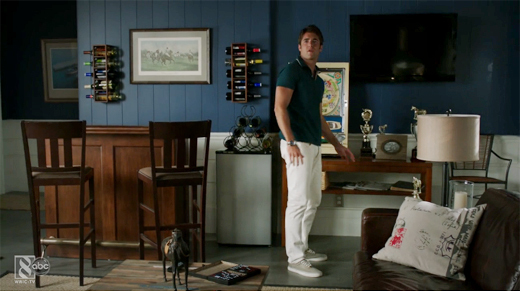 Love the color scheme you’re going for and I agree, the set of Revenge is indeed lovely! The contrast from vertical to horizontal is really appealing! Kristi, do your kitties still have their claws? I got my first kitty last year (love your cat stories) and she loves my grass wallpaper. I suggest you buy a pattern that is not close to being discontinued (I don’t know how to do that but you pro decorators may.) Plan to have some extra in case you need to replace a piece. I bought first from Sherwyn Williams, they were really helpful and showed me a paper that looked the same as the one I chose from a book but was much cheaper. It is the only kind of wallpaper I have ever installed (before all I ever did with WP was tear it down in disgust). I liked it so much I want back to SW a year later for more and all they had was papers that were much more expensive. So I sent for a few samples from Steve’s Blinds and Wallpapers online, found one I love and bought from them. I was happy with their service. I think you could do a simplified wainscoting that has the feel of your first choice by making the panels with a board and batten technique (spaced farther apart of course) then lining the recesses with a simpler molding than your inspiration pic shows, with just one or two crenellations instead of being quite as wide and deep as the picture. Same overall effect but with less expensive moulding. Like the white painted walls! I know you like different and it definitely is! I love your blog and I am so impressed with all the things you have taken on by yourself! Very impressive. Like the white painted walls! Keep up the good work – it is so inspiring!